For Alan Nielsen, getting close to a deer or elk is the thrill of a lifetime that separates bow hunting from other types of hunting. Dennis Slunaker, who has bow hunted for 20 years and is one of the owners of Rocky Mountain Bowstrings in Meeker, is among a growing segment of hunters relishing the challenge of the sport. In 2005, the Colorado Division of Wildlife issued about 35,628 bow-hunting licenses for elk and about 11,000 licenses for deer, said Randy Hampton, DOW public information specialist for the region. Those numbers are up from about 35,000 total archer licenses issued in 2004. A big pull for bow hunting is the balmy and beautiful season, which runs from late August though late September — earlier than other hunting seasons. The skill involved in archery — hunters have to be stealth and have very good aim — is what attracts hunters like Slunaker to the sport. The learning curve for bow hunting can be steep, with most hunters going four to six years before taking home an animal, he said. 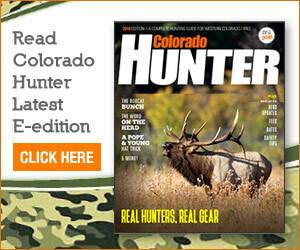 In 2004 in Colorado, 4 percent of bow hunters harvested deer, compared with 30 percent of rifle hunters, Hampton said. Overall, about 18 percent of bow hunters harvested an animal in Northwest Colorado in 2004, he said. Experienced hunters have a good feel for an animal’s behavior, foreseeing their movements before taking a shot. Quality shots are important. Hunters should aim for an animal’s lung cavity or just behind its shoulder. Hunters farther than 30 to 40 yards away risk wounding an animal, Slunaker said. A well-placed arrow is as quick a kill as a rifle shot, with animals expiring in about 11 seconds. In addition to the challenge and season, bow hunters also like that the sport is affordable with equipment costing between about $500 and $1,000. Hunters can reuse arrows hundreds of times. It’s important to purchase equipment from a knowledgeable dealer who can help hunters find the right set up for their size and ability. Fort Collins, Meeker and Grand Junction are good places to find such dealers.